If you are feeling overwhelmed stroller shopping process you are not along. Many parents feel lost because there are a lot of great models on the market. Every year there are many new releases that raise the bar for a modern stroller and the 2014 is not an exception. I’ve already written an article on some of the cool new strollers that will be coming out later this year, but I also wanted to put together a list of top strollers that you can get RIGHT NOW. Not all of them are brand new, some of them have been released a while ago, but still hold their spot. I will be updating this list as the year goes by and new strollers come out. Of course they have to meet my high standards first before making it to my special top 10. All of the strollers below are high quality and very practical. For me it’s important for the stroller to have large canopy, deep recline, adjustable handle bars, adjustable leg rest, large basket, additional storage, travel system capability, price, and most importantly light weight. In case you are wondering, there are total of five different models in the Armadillo family: Armadillo, Armadillo XT, Armadillo City, Armadillo Flip, and Armadillo Flip XT. Check out my full side-by-side comparison. Here is a video overview of Bob Motion. This is an upgraded version of City Mini. It has an amazing huge canopy with two peekaboo windows (it’s that big! ), adjustable handle bar, deep recline, roomy padded seat, hand brake, and my favorite easy one-hand fold. The forever-air tires and front-wheel suspension provide a smooth ride absorbing a lot of bumps. The maneuverability on GT is FANTASTIC. It is really a one-hand stroller. The Qool is a new luxury full size stroller from Joovy. This modern looking stroller got a lot of people talking right after hitting the market in the beginning of this year. It has reversible seat with a super soft insert that feels almost like a memory foam. The adjustable handle bar and the bumper bar are covered with high quality leather. The high-tech four wheel suspension system and sealed bearing wheels will provide a smooth ride for your baby. The maneuverability is outstanding! P.S. If you like my top 10, please click “like” button below. hi! im trying to see the best stroller for my needs. Looking for somthing my three year old can fit in now until our new baby comes in july 2014. I would like one handed folding and a large easy to get into basket are my main concerns thanks for the help! Hi, Im having my first baby in July and cant decide on a stroller. I am not runner, but want to use the stroller for fast walking and want it to be good for walks on the beach. Live in SC so good UV and bug protection is a must. I am 5’2 and my husband is 6’3 so adjustable handlebar is needed. Is the uppababy vista truly worth the price tag? Most likey plan to have a second child in a few years. Hi, What do you think about Bugaboo strollers in general? Specifically, the Bugaboo Donkey? I’m looking for a lightweight stroller and my favorites are Mini City and Britax B Agile. But both don’t have reversible seat and I still don’t know how it will be important for me. What do you think about the Bugaboo Bee? It’s a lightweight stroller with a reversible seat… But I didn’t find a lot of reviews about it. Hi could you suggest a stroller for a 2month old I would like something were she can grow with if thats available I’am currently using a travel system… I would like something not over 600 dollars or is that not being realistic? Thank you for your help. I’m a nanny and a baby gear enthusiast since I was 12 years old. I used to want to design strollers, but I decided my love of books and writing outweighed my love to design. I decided to be a nanny while working towards my writing career. Anyway, I’m surprisingly expecting my first baby in November. I’ve tested and tried out many strollers over the years and always decided that I would go with a Vista as it’s one of my favorites. Well now that I’m really having my own baby, I’m at a cross roads between two strollers, The Vista, and The City Versa with the GT wheel kit by Baby Jogger. I love both these strollers but I’m pretty sure my boyfriend is only going to let me have one lol. I need an all terrain stroller as we love to hike and take mountain trails, but I’m not into air filled tires because they’ve busted on me a few times as a nanny. It would mainly be on walking trails I suppose, because if we hike up, we would just take a carrier. I want a seat that is reversible as social interaction and security is important to me for my child. I would like a large basket and a higher weight capacity as I expect this kid to be on the large and solid variety lol. I also want a bassinet feature. I’m pretty sure both these strollers can handle what I would like, but I just don’t know what to pick. I may save a hundred dollars in the end after getting all the accessories I want with the Baby Jogger, but that’s not enough of a trade off if the vista would handle the terrain as good as the GT wheels would. What would you choose? Thanks. Sorry for the long post. Hey Susan! Do you know if the Mamas & Papa’s Armadillo stroller is compatible with the Britax B Safe infant seat? I haven’t been able to find an adaptor for it. If there is not one, do you have another infant seat you would recommend that is compatible with the Armadillo? Thanks for the review!! Bob Sport is the best one I suppose! I’ve been using it with my little one for more than a year, and enjoying it during runs, hikes and walks! I was wondering if you could please point us in the right direction. * Biggest wish is for it to be adaptable with a car seat, bassinet, forward facing and back facing seat for when baby gets a little bigger. A great ,safe and sturdy frame with the option to add accessories as the baby gets bigger without having to buy a whole new stroller. * We travel around the world a lot so a stroller that is light weight, compact, easy to collapse and easy to travel with. * we would also like to eventually add another baby to the family, so it would be great if it has an option to turn into a tandem stroller. Any recommendationswould be really appreciated! Hi Susan, I want a jogging stroller that is reversible, allowing the baby to face you or away. Any suggestions? Hi Brandi. Take a look at Mountain Buggy Terrain. This buggy is full of great features like deep recline, huge canopy, adjustable handle bar, and easy fold. Storage is the name of the game here. Besides a large basket, it has two mesh pockets inside of the seat, two water bottle holders, and a large zipper pocket on the back of the basket for small items. A roomy seat goes to a flat position and can accommodate a child from birth and up to 77 lbs (that should last you till college!). Hi! I’m a first time mom-to-be and with all the endless choices it seems near impossible to find something that is optimal when it comes to baby gear. I wanted to know if the GB Evoq or the new Britax Affinity were strollers you would suggest or have reviewed? We want to be practical and everyone in our area seems to have a Vista or Bugaboo. I am concerned that those will be too heavy for me, etc. and a pricepoint we were not considering. Any advice would be much apprciated! 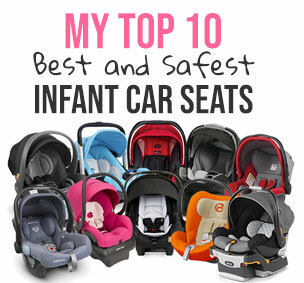 What car seat would you recommend to pair with the Joovy Qool? I’m trying to help my cousin narrow down her selection, and she wants to go with the GB Evoq. I just saw your reply which states the GB is heavy at 35lbs+. Therefore, I want to present her with new options, but I know she will ask about a carseat becausethe Joovy is not sold as a system. Thanks!!! Hi Susan! Thank you for all the in-depth reviews. From what I keep hearing and reading, it seems most parents downsize to the lightest, most compact stroller as soon as possible. With that in mind, we would like to purchase only one stroller that is light like an umbrella stroller but has full size features and no umbrella fold. Do you think you could help? How important do you think the reversible seat option really is? Worth $220 more? Any insight or recommendation you have would be greatly appreciated! Thank you!! I also have the same requirements as Audrey. I am also heavily considering the Armadillo Flip XT, however, maneuvarability is key I would think. Unfortunately, the Armadillo Flip and Joovy Qool do not seem to be around anywhere for me to look at. It’s so confusing at this stage as you don’t know what kind of features your child will need (since I am a first time mom-to-be). I would think storage is important yet the City Mini GT and Agile are not conducive for a regular size diaper bag. I’ve been leaning towards the City Mini GT b/c of compactedness, weight, and maneuvarability but again, what about storage, lack of 180 incline, and no footrest? Also, do most parents generally invest in 2 strollers? I really hadn’t anticipated needing another one so soon except that we would like to have another child soon enough. I feel stroller shopping is truly harder than car shopping at this point! Hi again Susan! Thank you so much for your quick response! After reading what you had to say, we went and “test drove” the Britax B Agile, City Mini, and Armadillo. I think Babies-R-Us had the last Armadillo in Dallas (seriously! No one carries them in store!). Because they had cleared out their Armadillo inventory, the manager offered us the Armadillo for $140!! Well, that made our decision quite easy. Besides, after testing out all three we liked the Armadillo better than the City Mini or Britax B Agile due to it’s simplicity of design, adjustable foot rest, deep recline, and large basket. Thank you for your input! We are thrilled to have gotten such a great deal on a beautiful stroller. And, SD217, after seeing the Armadillo in person today, I was not disappointed. It looks as nice and handles as well as it appears to on the online videos/reviews. The recline wasn’t quite as flat as I imagined, but it was better than both the Britax and City Mini/GT. Also, I preferred the maneuverability of the four wheeled Armadillo and Britax Agile over the 3 wheel City Mini GT. the four wheelers felt a bit more sturdy (even though the GT had nice, big wheels that would probably do great on rougher terrain). I think the Armadillo Flip would be a wonderful choice as well. I talked with Mamas and Papas today over the phone before we located the last stroller left in Dallas, and they said If you do decide to purchase one of the Armadillos from them without being able to test drive it, you can return it in its original box if you’re not completely pleased with it. Hope this helps a little! This baby gear buying business is not for the faint of heart. Good luck! Susan, thanks so much for all your insight. I was close to choosing the Citi Mini GT or trying to track down the Joovy Qool to take a look at it. @Audrey – I was able to track down an Armadillo Flip and really like it. It fits the bill! I am going to try my best to get on the pre-order list (cross my fingers). It feels so exciting to have finally made a decision! SD217, which store did you find the Armadillo Flip to try out? Hi G – We got our Flip XT from a store in NJ called NessaLee. We had it on preorder and it just came into the store for us to pickup! Hi Audrey – Really glad you located one. We tested it out here in NJ at a baby boutique called Nessalee. Good luck, our Flip XT has just arrived! Hi Susan. I’m expecting my second child, and I already have a baby jogger elite (because my first child was a big baby, so these was the best I found for him, 3 years ago). So I’m looking for a stroler with reversible seat, something that I don’t need to use with a bassinet and up to 500,00. Now, I’m thinking about Cruz, Nuna Mixx, Joovy Qool, Armadillo Flip. I would like to know wich one you think is better. Thank you so much. – won’t tip over if I have purse hanging off back and kid suddenly pops out of stroller at the zoo, etc. So far I’m thinking Joovy Scooter? Or maybe Britax B-Agile? I’m super confused. Please help! Oh I forgot! Something that I can add a riding board to if I find that becomes necessary! Hi Susan, Thank you for reviewing the strollers in detail. I am a first time mom due in 8 weeks. Can you please help in selecting a stroller? Thanks a lot. If money was no object, which stroller would you recommend? Is it the Bugaboo? Thanks for the reply Susan. We live in new York city and will generally be strolling around the neighborhood. We do have an SUV but will also be taking cabs so ease of use would be the major priority followed by durability. This list is great, but I would love more advice as a first time mom. I have been researching strollers for two days, but there are so many! Most important to my husband and I are: only purchasing one if possible, all-terrain (we don’t run, but we do walk, go to the beach, travel lots), lightweight, large storage, will work with car seat (any-we haven’t bought one), easy fold/set-up, and of the ones we’ve tried, my husband likes the three-wheel design more as he found it easier to steer and turn. We would love to stay around $400, but I’m not sure if the Indie is worth the extra. I love the City Mini GT, but the small storage is my hang-up. We are also most likely being given a joovy tandem. Hi Susan, I am looking for a pram that is suitable for two kids, I am currently pregnant with my first, but we would like to have two close together. I ideally want one that is light, easy to fold, not too bulky, easy to manouvre. I know that seems like I am asking a lot. Would be handy for it to be easy on a lot of terrains, I don’t really plan to run with the pram. Hi i could really use your expert advice! I am the single mother of almost 3yr old sofie 39lbs and 39in tall. Need a stroller for a couple upcoming trips all flying and one to Disneyland for 5 days. I need something in the 200 dollar range give or take im really leaning towards the britax 2014 b agile. I love the style, one handed close, compact close a weigt. I had a big babytrend jogger from birth way to heavy and bulky to travel and chicco echo that looks great but is a pain to manuever…please help! After looking at this article I’ve liked the armadillo flip tx, Joovy qool, or bob motion. I have 2 boys and am having a girl now which I’m beyond thrilled about. I really want a girly color, large basket. Large canopy, height adjust.able bar (I’m 5’2″ and hubby is 6’3″), not too heavy, and one that will last me until she’s a toddler. I don’t have a car seat yet and prefer one that at least comes with adapter. I was previously looking at the britax agile 4 but only available in 1 color. I liked the bliss too but my husband doesn’t like the changing this for that, adding a bar adapter. He likes simple. :) I’m considering a BOB jogging stroller not because we jog but BOB has a promotion this month that they give you the infant car seat ($199) free with purchase of jogger stroller and adapter. We are not planning on anymore children after our daughter. Thank you for your help! I’m looking for a stroller for my 3 year old who will have a full leg cast and will need to have his leg supported. Which stroller do you recommend with the most sturdy adjustable foot rest? Also, looking for comfort, as he will probably be in it often. Thanks! This was a great post and I saw how helpful you have been in all the comments so I thought I’d ask your opinion since I’m still so indecisive on which stroller we should get. I have a 4 month old and a 2.5 year old. My 2.5 year old refuses to sit in the stroller and my 4 month old is more comfortable in the regular stroller seat versus the carseat with adapter. I’ve thought about just getting a nice umbrella stroller from UppaBaby or Maclaren but I tend to carry a lot of stuff and would need to put my giant diaper bag on the handles or in a basket. That being said, I have a double City Select (with bassinet option and carseat adapter) and a double BOB. We replaced our Bugaboo Bee and single BOB right before baby number two came. I loved the weight, ride and ease of the Bugaboo Bee but hated the price and the small inaccessible basket. Our City Select basket is falling apart and now I have read that that is a common problem. I also don’t love the bulk of it and the two pieces. Not a dealbreaker, but if it could have a skateboard attachment option that would be great too. I will check these out! Thank you! We ordered a mountain buggy swift 2015, and it seems perfect for this–except– it’s very short and my husband (5’8″) feels that the handle is probably too short even at the highest position (it’s just right for me, 5’2″!) We still have to test it some more, but in the meantime I’ve been trying to find other compact strollers (compact-ish) with all terrain wheels, but the few options I have come across (Bumbleride Indie / 4, Urban jungle, Valco Tri Mode Ex, etc) are JUST a bit too wide for the bus aisle. (Needs to be 23″ to fit! 24-25 is too wide! We measured.) The City Mini GT has small enough wheels that we could get it through the aisle (the wheels can fit under the seat edges), but the stroller is still too long (44″) and the basket is very inaccessible. The mountain buggy swift has all of these things (doesn’t have suspension, but does have good air filled tires!) but the adjustable handle is just very short. I have been doing lots of searching, but I’m not sure if there are makers I am missing! Thanks so much for any leads you might have!! Ooo yes, that looks like a really good option. I’m a little unsure about the curved bar in the back of the basket… Do you have an idea of how many inches or clearance there would be to put things in the back? Or the sides? The sides look better for sure. So… We took the mountain buggy swift on our comnute to try it out (my husband decided the handle height was not too bad), and I realized I really do NOT like the three wheel design for the bus and popping up on tall curbs!! It felt so unstable, wobbling on one wheel as you push the stroller onto the bus or curb. We ordered the bob motion, and we love it!! The basket isn’t as accessible as I’d like, but it’s definitely doable and the best possible solution! It’s a great stroller and it’s lovely to finally be done with our hunt and have a really good stroller. Thanks so much for the help!! ???? hello, what is the best luxury compact stroller. I’m looking for a extremly light stroller to take on trips . It is very important to design and be beautiful. What do you recommend? Thanks so much for the great reviews! Any tips on the following? I’ve got a City Mini which I love except that the crotch strap is not adjustable and the strap to fold is right where my child sits. My little one is now 17 months old but often sleeps in stroller for nap so looking for a full recline, preferably adjustable foot rest (if lies flat with seat), big canopy, and adjustable crotch strap. I am looking for a replacement stroller (lost in fire) We have a (about 32lbs)3 year old with with medical needs requiring some equipment-can’t seem to find current strollers with large capacity storage baskets. Suggestions welcome!